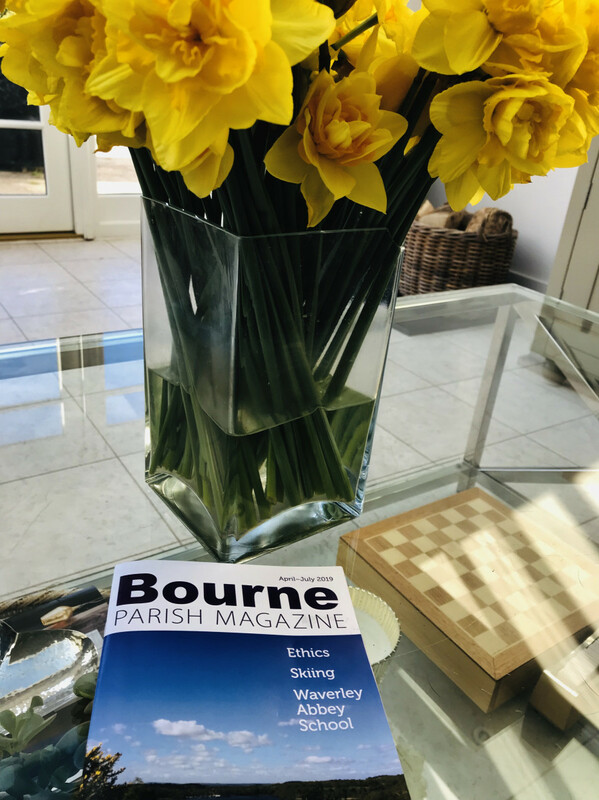 The Bourne Magazine in published three times a year and delivered free to all in the Parish. The magazine contains lots of details about the Bourne Community, the church at its centre. There is a focus on a local business or resident, enabling you to find our more about where you live. It is shorter by eight pages but still a good read. It now goes free to every home and business in the parish of The Bourne and is paid for by our wonderful advertisers. It will be published three times a year at Easter, around Harvest time, and Christmas. Inside, as well as thought provoking articles, you will find details of church services at our three centres of worship and useful local information. Sue Leach’s article: Of course you can learn a lot from a school’s website…"
Why not dip in and read these interesting articles?